FNC Entertainment announced the launch of a new music platform called ‘FNC Lab’ to discover their artists’ hidden charms and talents. It intends to create music that only FNC Entertainment can offer. 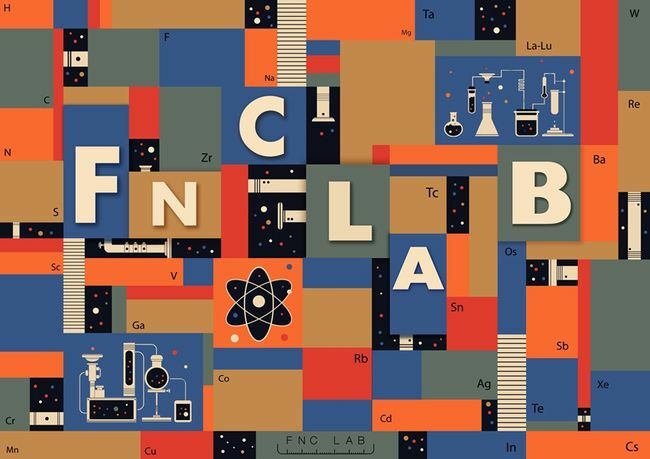 ‘FNC LAB’ is a music platform that allows you to mix and match different elements to create innovative combinations. It expands to various areas such as visuals, genres, and promotions. Furthermore, the platform plans to use its contents to discover the artist’s hidden charms and opportunities to expand their careers. Finally, they will release the finished products from the lab into digital recordings for sale. The artists participating in the platform intend to try out combinations that are not limited to already existing music style or team color. Thus, they hope to find new strengths and opportunities for the artists in the K-Pop industry. They collaborated with illustrator Kirean to create the logo for ‘FNC LAB’. The logo symbolizes ‘a lab’ where they can experiment with various elements, such as time, genre, and visual, to create a whole new area of music. With ‘FNC LAB,’ the agency hopes to prepare for the fast-changing environment of digital recording market with the synergy these fresh contents will bring. FNC has successfully developed skilled musicians such as FT Island, CNBLUE, AOA, and others. In addition, they also established a lineup of many actors and entertainers, and expanded their business to media contents creation, concert creation, and various academies. Therefore, many people are anticipating how ‘FNC LAB’ will continue to benefit the company. You can check out finished products of ‘FNC LAB’ through its Instagram account.